Moo free's milky formula made my entire household instant fans. 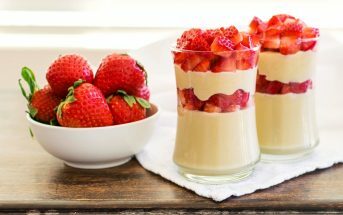 It has a smooth, sweet, creamy, and almost "nutty" finish (though it is nut-free) that appeals to both kids and adults. 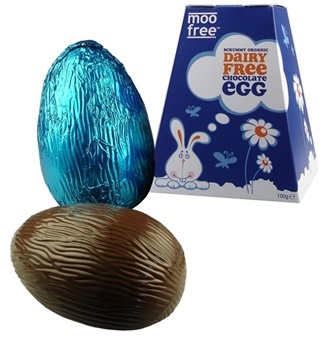 The addition of dairy-free toffee honeycomb to their latest chocolate egg was a brilliant move. Moo Free Chocolate is well known in the UK for their kid-friendly chocolate, but they just came onto my radar in recent years. 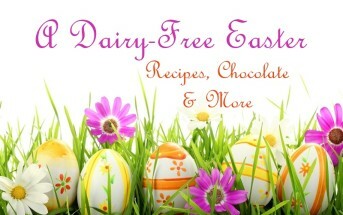 I excitedly had the opportunity to trial their Dairy-Free Chocolate Easter Egg. Vegan “Milk” Chocolate: They use a rice powder base. 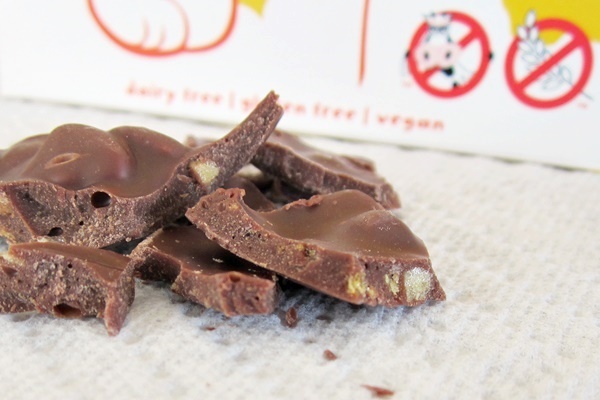 Making it one of the few milk-less “milk” chocolates that is also soy-free by ingredients. Though they do process soy in the same facility. A Dedicated Dairy-Free Facility: All Moo Free chocolates are produced in a factory that has only ever been used to make dairy-free products. Organic Status: Moo Free chocolate is certified by the Organic Farmers & Growers and Vegan Society, and made with fair trade sugar and cocoa. This sweet treat is hollow, but jumbo in size, measuring a full 5 inches in length. Though it was made without nuts, my taste buds detected a definite hazelnut vibe. I thought it was a pleasant, sweeter, and smoother alternative to dark chocolate. Though it has a “nuttier” and slightly less creamy flavor than traditional milk chocolate. Underneath that smooth shell exterior lurks an infusion of dairy-free honeycomb toffee. If you look closely, you may be able to spot those generously added sweet bits of goodness embedded in the dairy-free milk chocolate. But even if you miss them on first site, you will quickly discover that delicious honeycomb when you crack the egg open. Everyone in our house loved the Bunnycomb, especially the resident teenager. The sweet crunch makes it absolutely addicting! For kids, those who might find dark chocolate too bitter, or others like me who adore all forms of cocoa, Moo Free chocolate is a cute one to add to the shopping cart. To note, this chocolatier has been around for a few years, but their primary customer base is in the UK. However, they are gradually expanding sales into the U.S. and other countries. 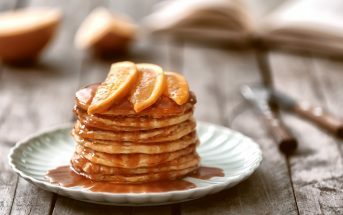 They can currently be bought online from U.S. retailers like Vegan Essentials and is being imported by British Aisles. 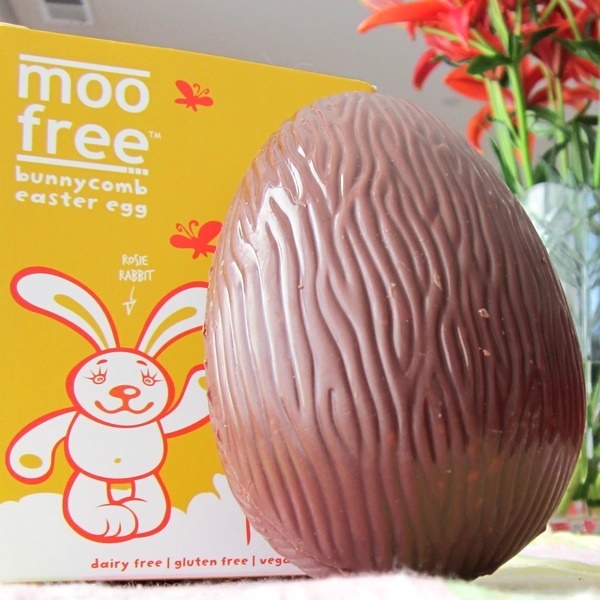 Dietary Notes: By ingredients, Moo Free chocolate is Vegan, Vegetarian, Dairy-Free, Egg-Free, Gluten-Free, Nut-Free, Peanut-Free, Soy-Free, and Wheat-Free, but see the packaging and contact the company for allergen and manufacturing “may contain” labeling. The company does clearly note that they do process tree nuts and soy in the same facility. For More Product Information: Visit the Moo Free chocolate website at www.moofreechocolates.com. I’ve also found that a lot of vegan products contain milk protein. I’m to afraid to have him try these. Rita, no vegan products should ever have milk protein in them. If you have spotted a product labeled specifically as “vegan” that contains milk protein, please let me know what it was and I will contact the company as that would be a serious issue! I’ve come across your site trying to locate milk free recipes for my grandson. The grocery stores tend to have products that have some milk in them when you read the ingrediants. I would like to know what to use (ingrediants) to make chocolate pudding for him? He is very allergic to milk and any other beef product. I would like to know how to substitute the heavy cream dairy. Free for chocolate truffles. Ruth, for making truffles, regular, full-fat coconut milk works as a good substitute for dairy cream.